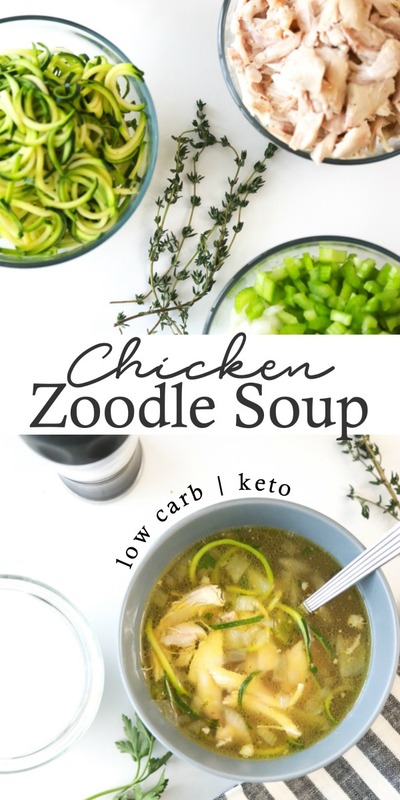 If you’re following the Ketogenic lifestyle and miss some of your favorite comfort foods, like Chicken Noodle Soup, try this Low Carb Chicken Zoodle Soup recipe for instant, low-carb comfort. 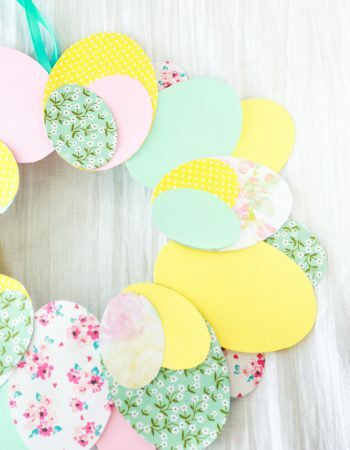 Any time you totally change something in your life there are sure to be challenges. That’s just kind of what happens when things change. The last three months while I’ve been transitioning to a new lifestyle have been hard. Totally transforming the way I eat and think about food hasn’t been the least bit easy, but it’s been so rewarding. The 20 extra pounds I no longer carry around is just an added perk of my dedication and commitment. Y’all, it’s been over three months since I’ve had any type of pasta. 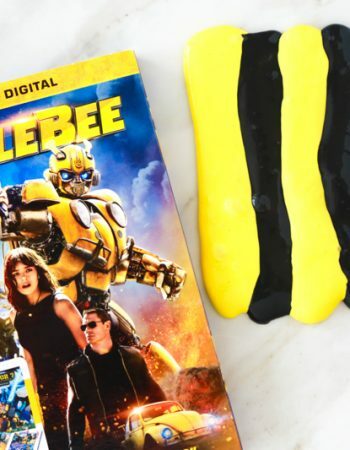 Not one single bite – even when I’m making it for the kids. I have not cheated one single time and not only am I super proud of myself, I’m amazed that I’ve been able to stick with it. If I can do it, anyone can. But with the cold weather we’ve been experiencing in Texas, I’ve been craving some better for you comfort food, like Chicken Noodle Soup. Following the Keto diet my options are extremely limited when it comes to comfort food, but where there’s a will, there’s a way. The Ketogenic lifestyle is all about reducing your overall intake of carbs and increasing more healthy fats into your diet. There’s a big misconception that people who follow the Ketogenic diet are sitting around gorging on bacon and chunks of cheese. I can guarantee you that doing that is not only unhealthy, but you’re probably not going to see the results on the scale. I mean, ultimately, that’s why people eat Keto – to lose weight, right? That’s why I’m doing it anyway. If you’re constantly loading your body with too much extra fat (bacon and cheese will do that to you), it will be incredibly difficult for your body to burn it all, even if you are in Ketosis. The key, I think, is to increase healthy fats, eat moderate protein, and get your carbs from fresh vegetables. That’s what has been working for me. 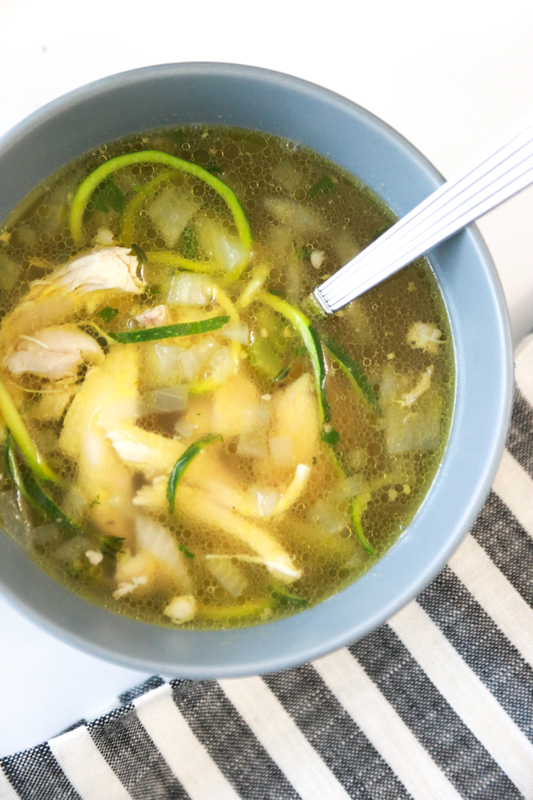 That’s why I love this Chicken Zoodle Soup recipe. It’s low in carbs at only 4 net carbs per serving and has a good amount of proteins. 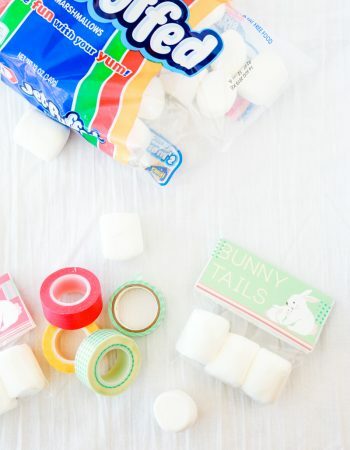 What this recipe is lacking however, is a higher percentage of fat. But, I still consider it great for a Keto diet because you can get your fats in with your other meals throughout the day. These Keto Almond Butter Cups are a great way to boost your fats for the day without getting too many extra carbs. 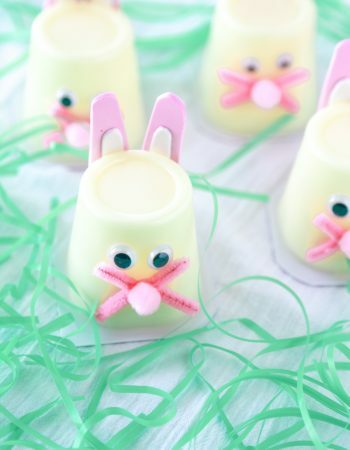 And let’s face it – chocolate on the Keto diet is like heaven here on earth – just sayin’. You’ll notice that instead of using chicken broth, I used Kitchen Basics Original Chicken Bone Broth in this recipe. I find that bone broth has a richer and bolder flavor since it’s made from real bones, organic vegetables, herbs and spices. Each serving (one container of the 8.25 oz. size) boasts 10g of protein and only 50 calories. 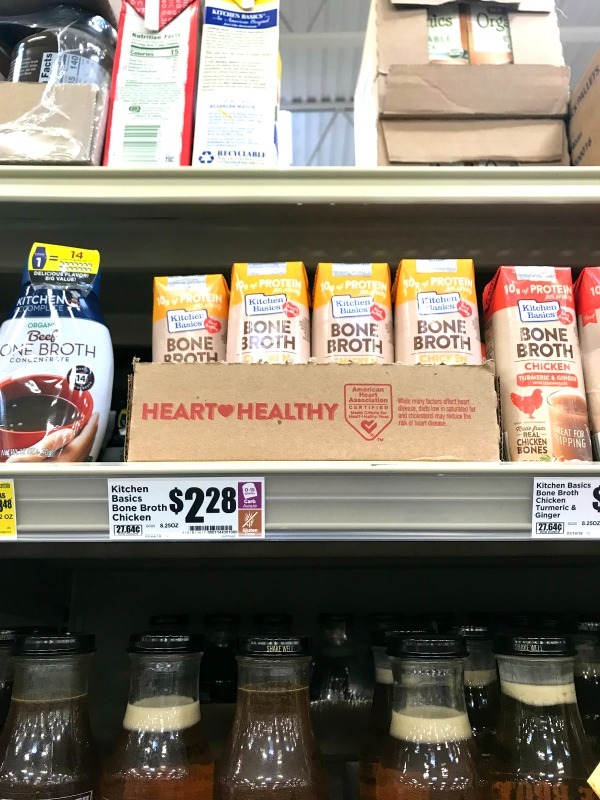 Kitchen Basics Bone Broth is the only bone broth certified Heart Healthy by the American Heart Association. You’ll also notice that I used water in addition to the bone broth. 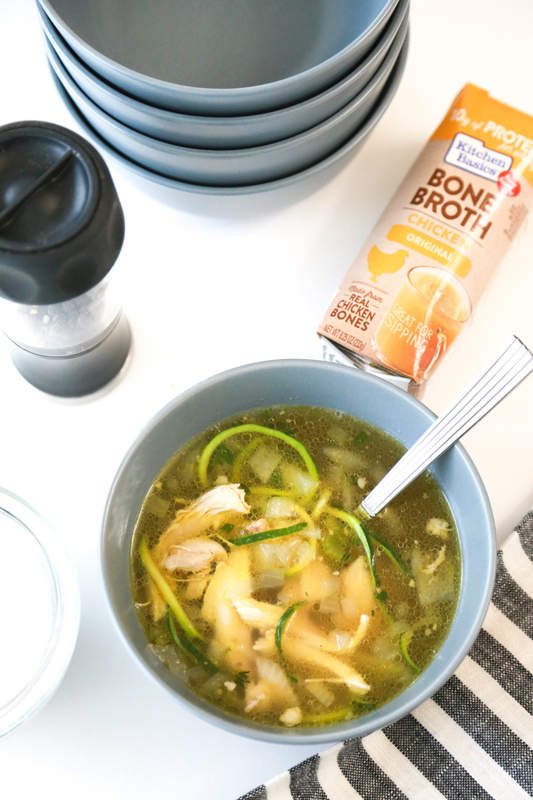 By all means, use bone broth exclusively in this recipe if your little heart desires. I like a good balance and I feel like while the water may have lessened the richness just a little bit, the soup still has a bold, bone broth flavor. You can also replace Kitchen Basics Bone Broth for water and broth in many different recipes, such as when cooking grains, sautéing vegetables, braising meats, making sauces and gravies, and making soups. 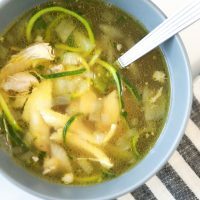 To make Keto Chicken Zoodle Soup, start by heating the olive oil in large pan over medium heat. Add in the chopped celery, onion and garlic and cook for about 5 minutes, stirring frequently. Cook until the onions have become translucent and the celery begins to soften when pressed on with a spoon. Add in water, bone broth, thyme, parsley and chicken and cook on high for about 5 minutes or until the water comes to boil. 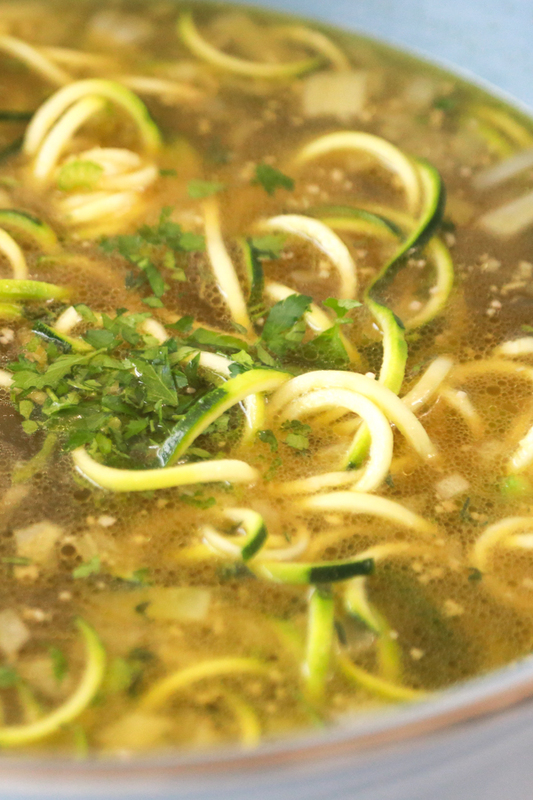 Reduce the heat to a simmer and add in the spiralized zucchini. Cook for an additional 5 minutes or until the zucchini is tender. Season with salt and pepper to taste. Serve immediately. 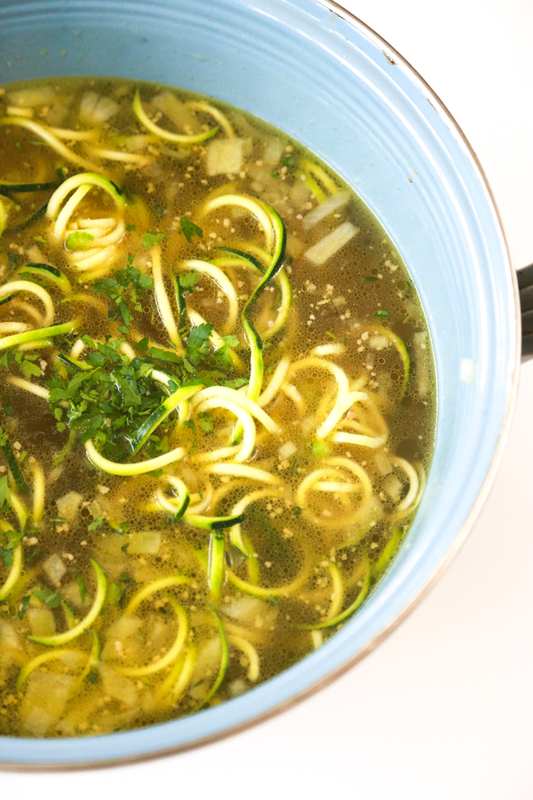 This Zucchini Noodle Chicken Soup recipe is perfect for those chilly nights when you need to be comforted from the inside out. 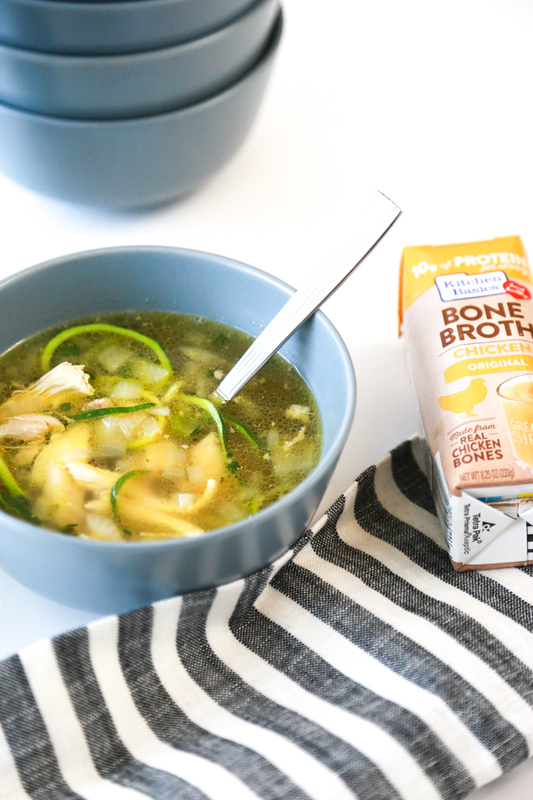 The bone broth adds so much flavor and boldness and makes this soup so perfect and delicious. Using rotisserie chicken isn’t necessary but I find it to be such a huge help when I’m running short on time. 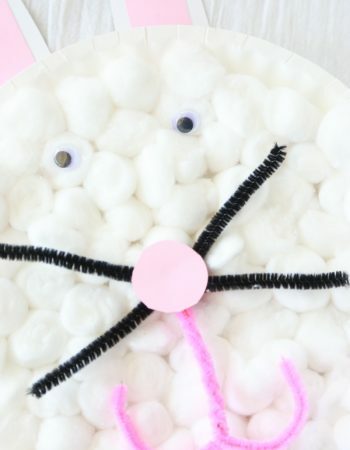 Plus, there are so many ways the children can help with this recipe. 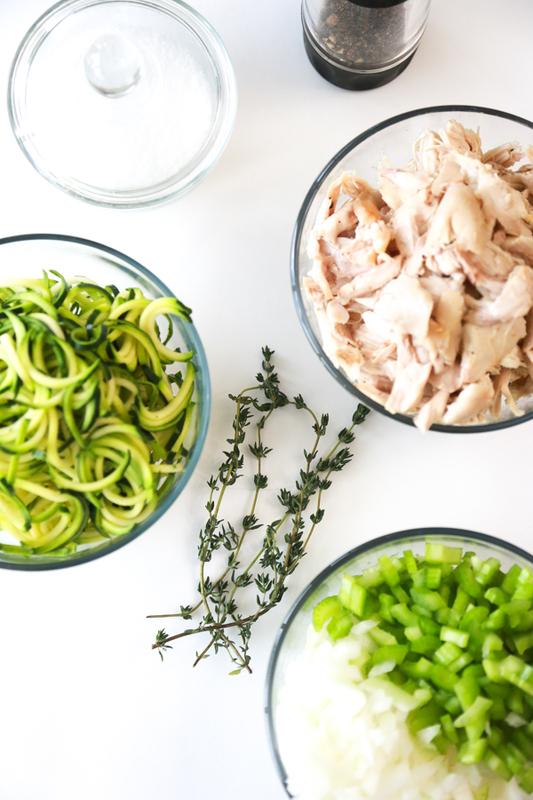 Have them shred the chicken, spiralize the zucchini, or chop the celery. If your children are anything like mine, they love when they get to work in the kitchen. Kitchen Basics Bone Broth is available online at Amazon and Publix, HEB, Food Lion, Giant / Stop & Shop and Safeway. I found ours in the soup aisle of my local HEB. Don’t forget to pin this Keto soup recipe to one of your favorite Pinterest boards so when you’re craving some comfort food, you’ll know where to find it. 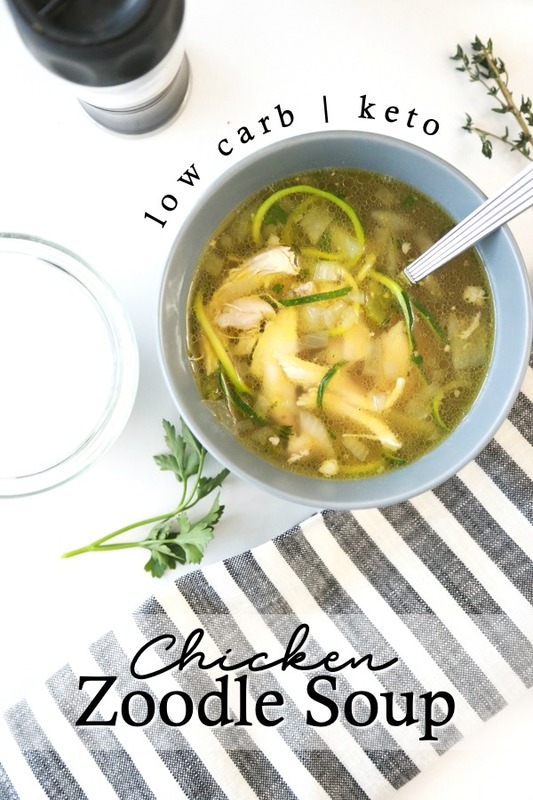 Get the comfort of Chicken Noodle Soup on the Keto diet with this Low Carb Chicken Zoodle Soup recipe. Heat olive oil in large pan on medium heat. Add in celery, onion and garlic and cook for about 5 minutes, stirring frequently. Cook until the onions are translucent and the celery begins to soften when pressed on with a spoon. Add in water, bone broth, thyme, parsley and chicken and cook on high for about 5 minutes or until the water comes to boil. 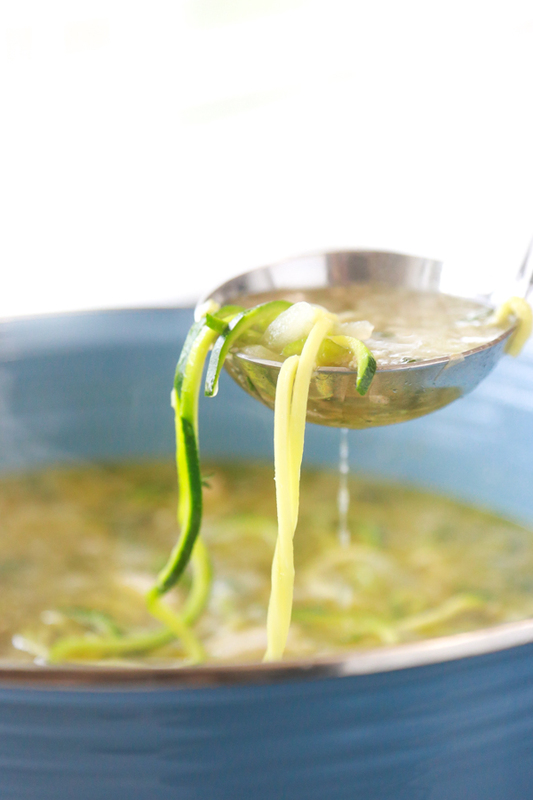 Reduce heat to a simmer and add the spiralized zucchini. Cook for an additional 5 minutes or until the zucchini is tender. Season with salt and pepper to taste. Serve immediately. You'll need to season with salt and pepper liberally. Feel free to throw in any additional seasonings that you enjoy.